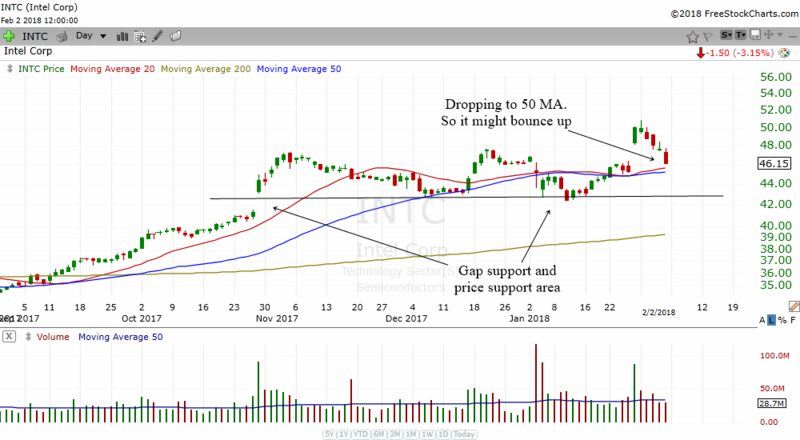 In this page, we will try to determine what is the likely direction of INTC using the discipline of technical analysis. As most of you know, fundamental analysis is great for stock selection but technical analysis is awesome to time entry and exits in a stock. Intel Corporation is one of the most important semiconductor stocks in the world. It is also one of the most well known companies as anyone who has a Windows OS laptop will most likely have Intel's processor. 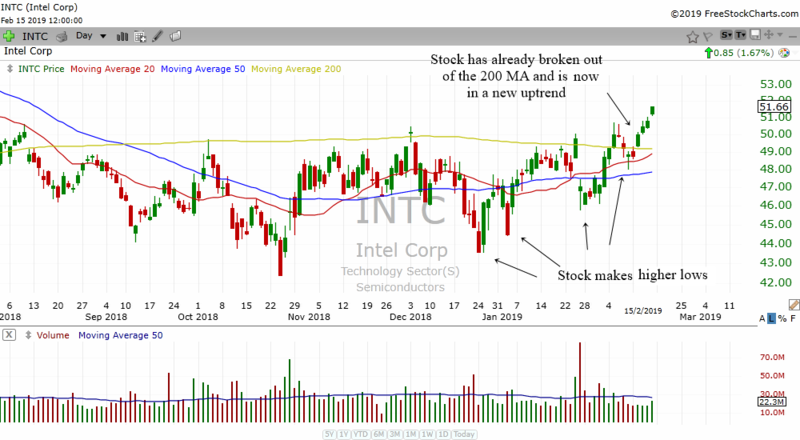 After selling off for a long time, INTC has been able to make higher lows. This sets it up for a new uptrend. The stock has also broke above the 200 MA and now it is likely to continue moving higher. If you take a look at the weekly chart of INTC, it has just broken out of a weekly ascending triangle. This is a bullish chart pattern. The target area will be around $60. The monthly chart of INTC shows us it is still in an nice long term uptrend. The recent move up will have absorbed the supply made from the all time high area. 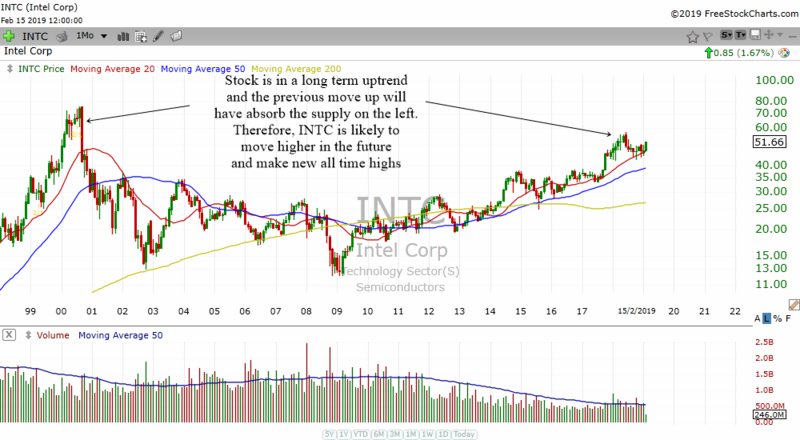 Therefore, it is likely that INTC will continue to move higher and eventually make a new all time high. The chart above is the daily chart of INTC. The stock has broken out of a consolidation area recently but it has corrected a bit due to the weakness of the general markets. It is dropping to the area of the rising 50 MA and therefore, it might find support there and bounce up. You will need to zoom into the smaller time frames such as the 60 min or 15 min to find reversal patterns to trade. One good thing about INTC is it has established an area for us to refer. If the stock manages to stay above the 42 area, then it is very likely to continue to move up. There is a gap support there and also price support. The rising 200 MA is still conducive to long term bullish moves. The weekly chart above shows the consolidation box clearer. As the stock touches the weekly rising 20 MA, it shot up. Consolidation boxes can be used to gauge the strength or weakness of a stock. 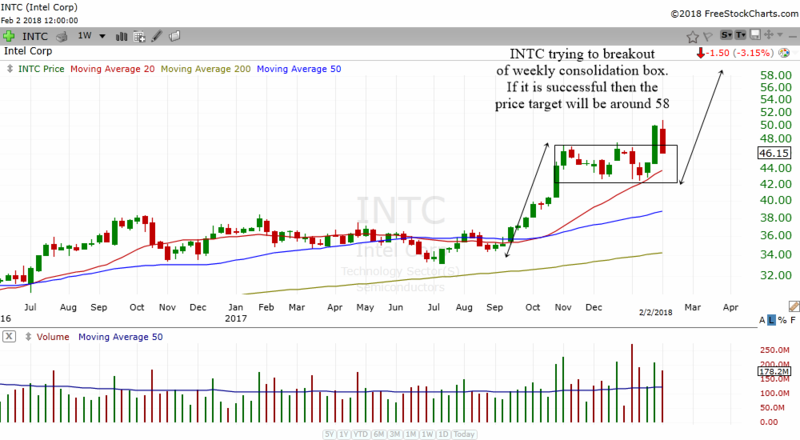 As long as INTC stays above the weekly box, then the uptrend is still intact and INTC will continue to move higher in the future. You can usually take a measured move target by taking the height of the previous move up before the consolidation and projecting it upwards from the base of the box. 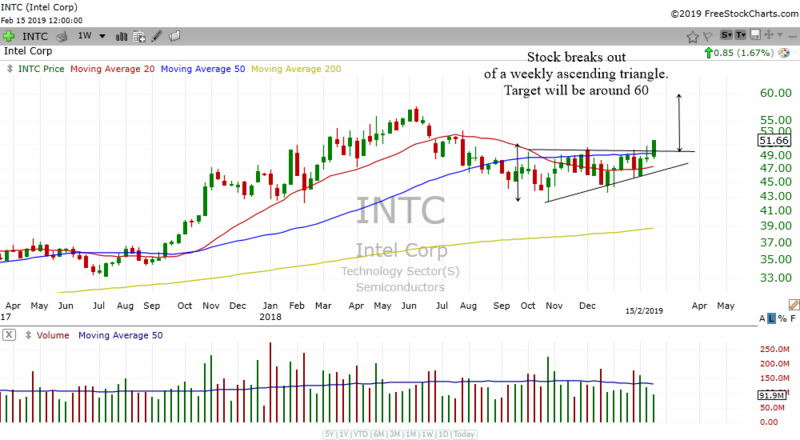 That will bring a mid term target of about 58 for INTC. The chart above is the quarterly chart of INTC. When we look at these long term charts, we are able to see the long term prospects of Intel. There are lots of support below and therefore the path of least resistance is upwards for this stock. 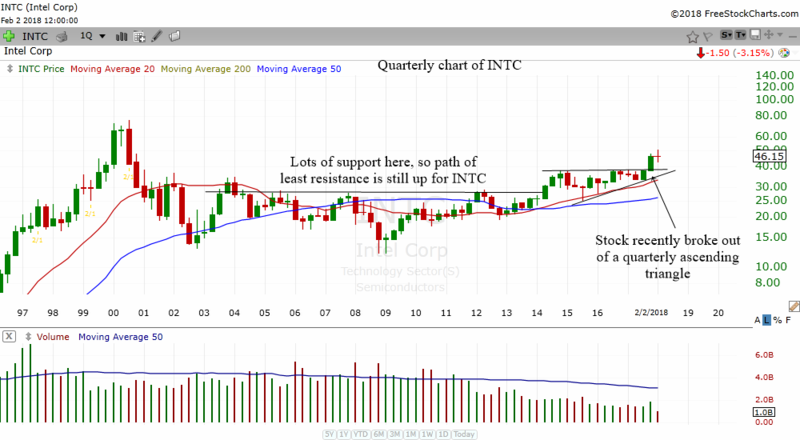 INTC also recently broke out of a quarterly ascending triangle. This is usually a bullish continuation pattern and therefore, INTC's bias in the long term is still bullish.